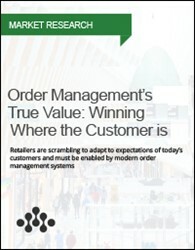 To keep pace with growing consumer expectations, retailers must be equipped with modern order management systems that greatly expand their fulfillment capabilities. However, many still lag behind. To gain insight into these challenges and retailers’ top priorities for a future OMS investment, Radial partnered with Incisiv to conduct a quantitative survey of retail executives spanning key business functions across the retail supply chain.